Do you need a taxi ride in Derby (Derbyshire)? Somtimes, driving our own car around the city is not the best option. If we are in a rush and do not want to waste time on looking for parking and paying for it, or we don’t want to leave the car at the airport when travelling, we can count on taxi services in Derby (Derbyshire). What services does a taxi cab company offer in Derby (Derbyshire)? Taxi com panies in Derby (Derbyshire) offer different services depending on your interests. You can either get a common point-to-point ride or hire an executive service, what is more expensive but often includes free-wifi and drinks. Taxi rates don’t use to vary a lot among the different companies, but if you want to be sure and book your cab service online instead of using the taxi number phone, you can check if the company website has a taxi fare calculator online. Also, some cab services in Derby (Derbyshire) count with their own taxi app. Some taxi drivers allow multiple hiring what benefits to both parts, hirer and driver. It consists in sharing the ride with other passangers. It means a discount for the hirers and the driver earns more money in the same ride. It can’t be done without the agreement of the costumers and the taxi rate needs to be about the 75% of a normal one as minimum. On the other hand, travelling by taxi also includes different benefits for the clients over using other trnsport methods. 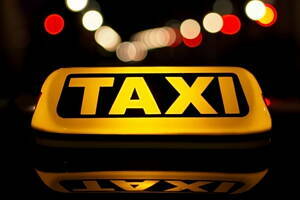 Some cab companies offer half-day and full-day taxi bookings as well as tour taxis. This means you can enjoy touristic routes from a private vehicle instead than from the typical crowded bus. If you like this, you can also ask for guide-driven tours and the driver will be your guide. If you need hiring a taxi to the airport, a 24 hour taxi or you just want to find a taxi nearby, Infoisinfo can help you. We’ve prepared a list with the best taxi services in Derby (Derbyshire), their number phones, addresses and reviews. If you hire one of this services, feel free to share your opinion so it can help others’ choice.